The episode opens at night in Little Tokyo. Several Ninja Crows (former members of the Ice Capades) speed across the rooftops, heading straight for Wally, Lucille's brother. The goat is trying to walk home with his eyes closed, but the Crows reach him before he gets there, as he correctly guesses. The noise of his yelling wakes up Lucille, who walks outside; however, she sees nothing. The next day at the Pizza Cat pizza parlor, business is booming. Polly gives a dinner that includes a potato on the side to a pig, saying that there's no way the pig could get any fatter. On another side of the place, Francine is handling the drive-through. Speedy dashes by and tags her. After Fran calls him a moron, Polly yells at him to get a pizza delivered. Francine accepts a call for a double-pepperoni pizza, and sends the ever-vain Guido Anchovy out to deliver it. Guido complains that while other superheroes get their own amusement parks, HE'S delivering pizza. After Francine informs him that the order was sent from the Home for Wayward Girls, Polly picks on Guido a little. Guido shoots one right back at her, saying that he wouldn't meet any pretty girls at the parlor. Polly gets in the last laugh when she "accidently" lets a fish slip out of her hands, smacking Guido upside the head. Don't ask him to work. Can't you see he's moping? Francine launches Guido out the cannon; and, as usual, mother and son are down below, joking about it. After the Professor rants a little about the Cats' clock-tower cannon, the scene switches over to Speedy as he races down the street, yelling at everyone to get out of his way so he can earn money. He eventually comes across Lucille, upset because Wally is missing. Lucille explains that ever since Wally messed up on a sushi recipe for Seymour Cheese, the prime minister of the city has been, in a word, ticked. She then mentions that Wally was kidnapped. Speedy tries to comfort her, but Lucille winds up releasing a batch of missiles from her head anyway. Finally, Lucille remarks that she suspects it was the Big Cheese who nabbed Wally. At the Palace, the Big Cheese converses with Big Al Dente, saying that a future monstrous disruption might generate more money in the bank. Later, while with Jerry Atrick, another conversation starts with Seymour asking Jerry how the plan with the sushi maker is going; however, it eventually degenerates into a few lines about eyebrows. Bad Bird, who is hiding in the rafters of the room, remarks that he won't need eyebrows to defeat the Pizza Cats. Francine, back at the parlor, orders Speedy, Polly, and Guido to attention and tells them to get Big Al Dente his dinner. She then proceeds to cat-apult them out of the cannon. Son tells his mom that Mighty Mouse gets better velocity. This must be true, considering that the Cats wind up plowing through several buildings enroute to a crash-landing at the Palace. Once inside, Speedy gets clubbed by a Japanese-style fan. Al tells him to get a sense of humor, and then tells the Cats that they're all doomed. Finally, a robot appears inside the city, plucking the citizens and sticking them in sushi. Lucille recognizes Wally's sushi-making technique and nearly gets caught; however, she is dragged out of the way by a law-abiding citizen. TRANSFORMATION SEQUENCE! After Francine does a few calculations on the computer, the Cats are once more sent out of the tower, prompting another Mother-Son chat. Proclaiming: "It's all sushi to me! ", the robot continues its rampage. Bad Bird tells all, finally, that Wally is under his control and that he's the one controlling the robot, although the goat thinks he's in a sushi bar. The SPC finally pop in and introduce themselves, getting Bad Bird's attention. After insulting their theme music, the leader of the Ninja Crows sends the robot after the citizens again. Lucille falls over while trying to run, but Polly is able to get her out of the way of the robot. The robot finally attacks Speedy and Guido, who have landed. The two manage to escape several times, but Guido trips and falls, making him an easy target. Polly, although upset, is more concerned about forgetting to brush her teeth than about Guido. As Zorak would say, "Mentos: dos freshmaker!" Lucille, remembering Wally's sushi-making, runs up to the robot and temporarily distracts it, asking why he's doing this to her friends, "and how did you get so tall?". 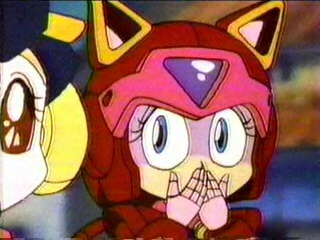 Speedy is rather surprised, but the X-ray lenses built into his helmet confirms what she just said. Bad Bird, deciding to take the fight to the Pizza Cat, lands on the ground and launches a direct attack at Speedy a few seconds later. The two strains against each other with their swords, and then leap to attack again. Bad Bird leaps towards the sun and then flies towards Speedy, nearly nailing him in the process. Bad Bird dismisses his defeat, saying that he has a dentist appointment. 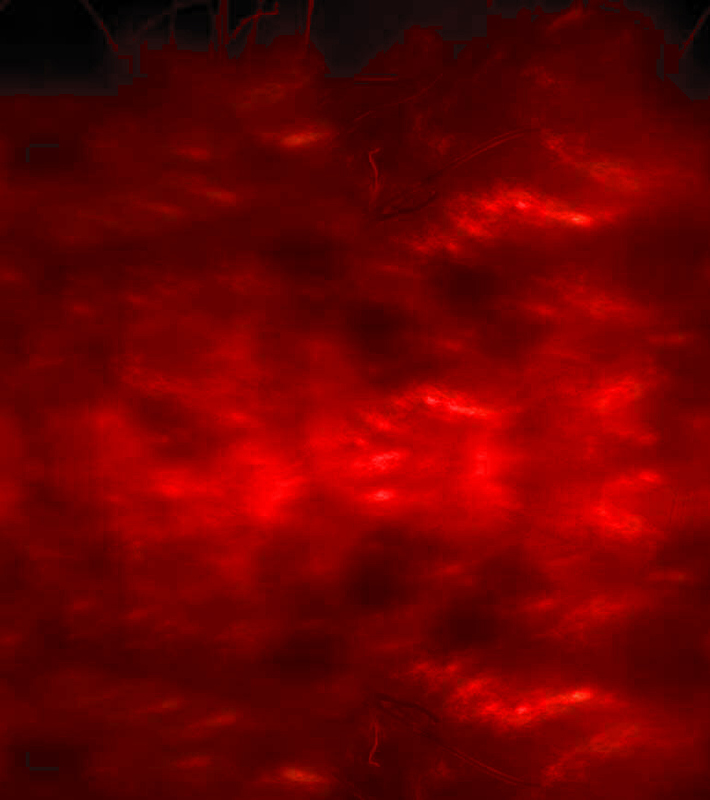 Seymour Cheese doesn't dismiss it, however, and blows up again. Lucille and Wally are reunited with each other. As the other Cats watch, Speedy again celebrates on the bridge, and once more falls into the river. * --- Just for the record, the wide picture of Guido and Francine up top was used without permission from the pic's creator, Pzario. Pzario, if you're out there, I just want to say that since your old site had a date with the trash compactor, I didn't think there'd be too much trouble; however, if you want me to take it down, contact me at supreme_cat@hotmail.com and I'll find something else to put up. Thanks.